I know this looks like China Glaze Fortune Teller, but it's actually Island Girl Hawaiian Color. 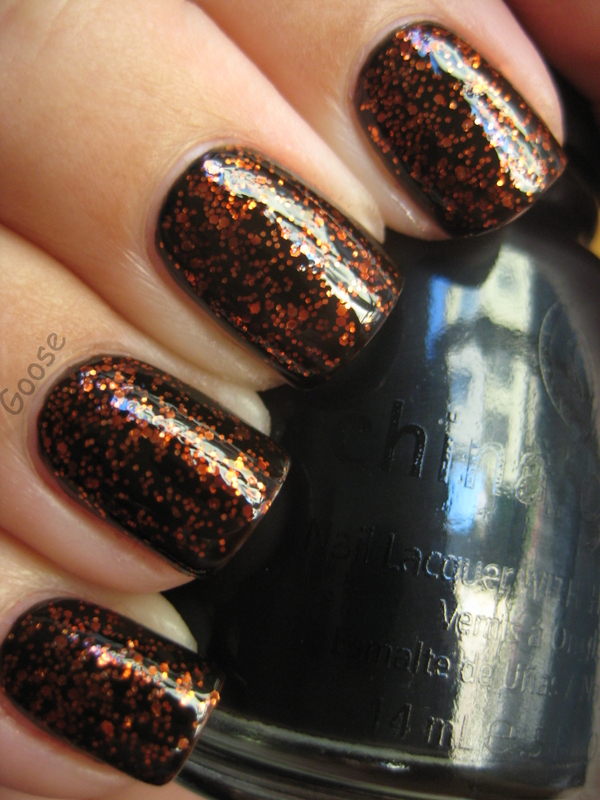 I wanted so bad to find Fortune Teller a while ago, and when I finally got this polish while in Vegas I was so happy! I don't have both to compare them obviously, but I understand that they are close anyway. Good enough for me! The base color in this is a little brown so I layered one coat over black (China Glaze Liquid Leather, 2 coats) to get a nice black and orange for Halloween.